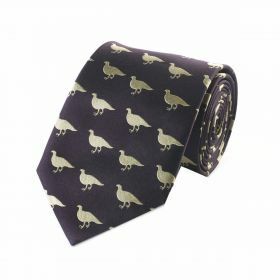 Luxury Woven silk ties - Wine Grouse - a perfect gift for the shooting man. 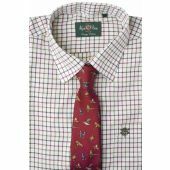 Made of luxurious woven silk in soft country colours a brand new design with a traditional wine grouse theme. 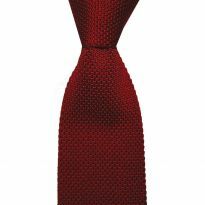 Length 58".